Macrame is back for 2018! We are putting a fun spin on the class with a new chunky rope style. 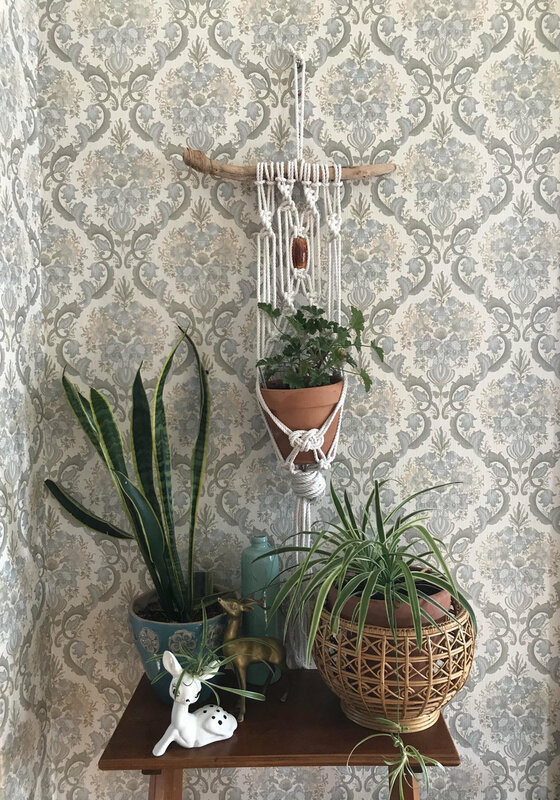 Make your own wall hanging out of macrame, or try making a fun and functional plant hanger! This is a time honored tradition and is making a big comeback with the stylish boho trend making a come back. Don't miss out, come join us as you learn the knots necessary to make your own macrame wall hanging! You can make the pictured macrame or freestyle! A wooden dowel will be provided. If you have drift wood you would like to use, please bring it the night of the class. This will be a fun class and space is limited so grab some friends and sign up now! The estimated class time is two-three hours.